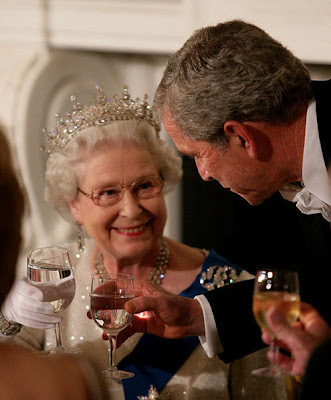 July 25, 2010 /PN/ Britain's Queen Elizabeth II is launching a Flickr photostream Monday, Buckingham Palace announced. Over 600 photographs of the British royal family will be put up on a new Buck­ingham Palace page on photo-sharing website Flickr, which "will provide a unique glimpse into the life and work of the modern monarchy". The site will initially have 600 images and 28 sections covering senior members of the royal family including the Queen, the Duke of Edinburgh, the Prince of Wales, the Duchess of Cornwall and Princes ­William and Harry. The album will allow Flickr users to use the photographs in blogs and other media, the Daily Mail reported. The Flickr account is a collaboration between Buckingham Palace, St James’s Palace and Clarence House and is the latest attempt by the Royal Family to harness the power of new technology. It follows the launch of the Royal Family channel on YouTube in 2007 and the establishment of the British Mon­archy Twitter account in 2009. The bank of Royal photographs will grow as new images are added to the collection. Flickr has become a world phenomenon since its launch in 2004 and is now home to more than four billion images and around 27 million people from all over the world use Flickr to organise and share their photos on the internet.